If you’re not quite ready to say goodbye to summer’s palette of pastel hair colour trends, we’ve got good news: bubblegum pink tresses are set to be big for autumn. And joining the pink parade couldn’t be more flattering. This season, the look is less about a solid colour, and more about lacing your lengths with a spectrum of rosy shades that shimmer in cool light. If you already have blonde hair, you’re in luck. Locks need to be light for pink tones to show up, and platinum strands can even carry off a temporary tint. Mix Wella Professionals Perfecton Temporary Color Rinse with water, then apply it directly to damp lengths and rinse to create a subtle bubblegum hue. Easy. Brunettes can still reap the benefits of pretty in pink hair, but going to an expert is a must. Use our Salon Finder to discover a Wella Professionals colourist. In the salon, your hair will be gently lifted with a pre-lightener, like Wella Professionals Blondor Multi Blonde Powder, to create a pale platinum shade. For colour that doesn’t compromise condition, team your colour service with brand new WellaPlex; our strengthening treatment that reconstructs internal hair bonds for more manageable tresses. Then, get that rosy filter effect (Nashville, anyone?) with Pink Dream from the INSTAMAT!C by Color Touch collection. 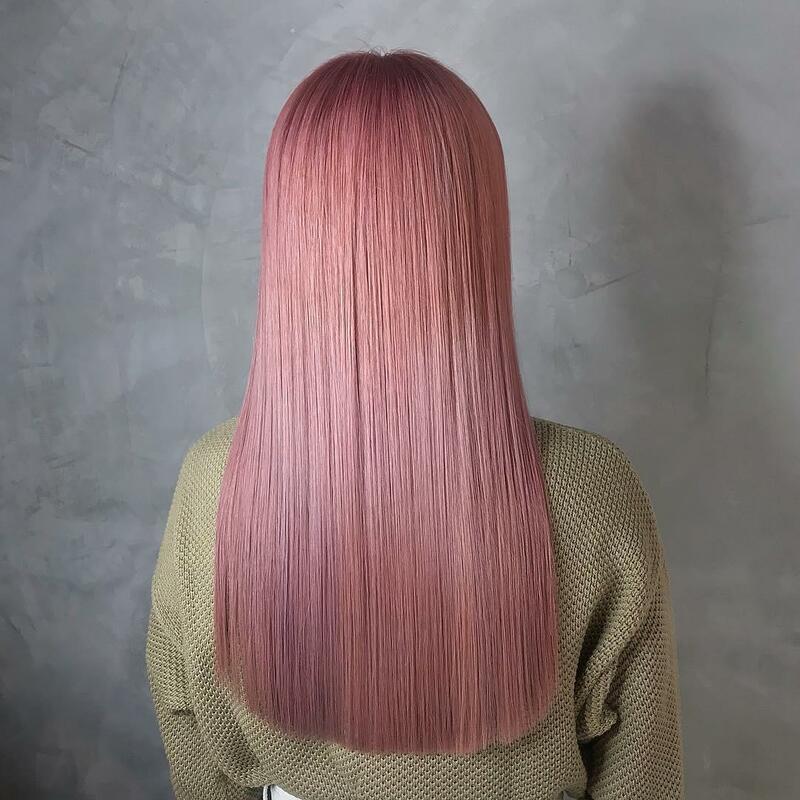 Find out more about this cool, matte gloss – and other INSTAMATI!C pink shades – with the Pastel Hair Colour seminar on the Wella eEducation site. Want to custom-mix your colour? 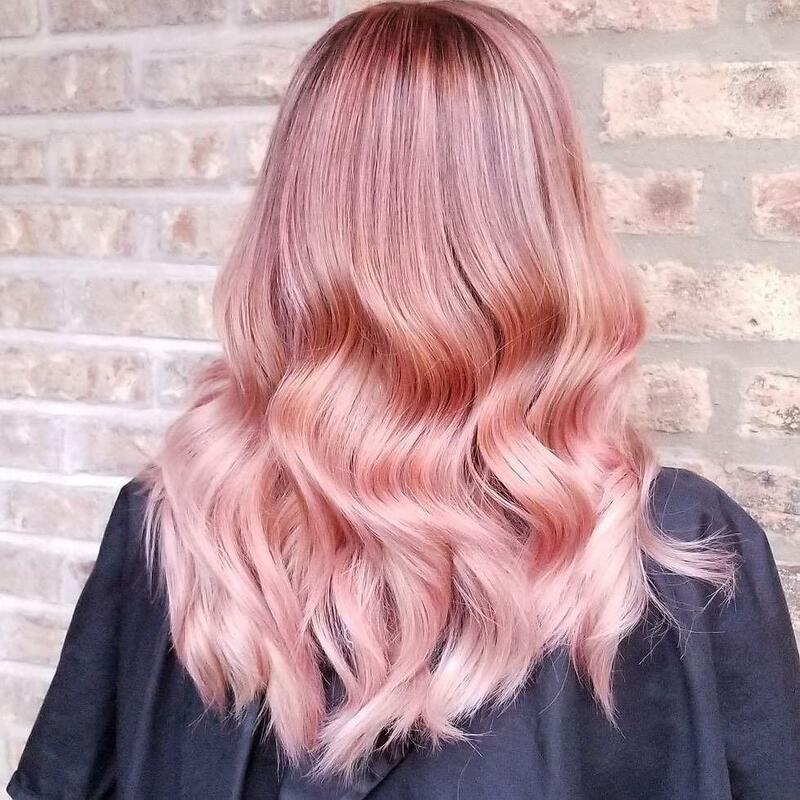 Print pictures, grab swatches, pull up Instagram, and tell your stylist which tones you’d like to see scattered throughout your new pink ‘do. The first rule of keeping that pink on point: tonal top-ups every 4 to 6 weeks. Make sure you get a standing appointment with your colourist, so you never miss that quick refresh. There are also some things you can do at home to ensure your colour stays put, like reducing the use of heated tools, as tongs can lead to colour fade. If you just can’t put the curling iron down, try EIMI Thermal Image Heat Protectant Spray, which acts like a lightweight safeguard for your strands. The more you wash your hair, the quicker the colour tends to fade, so opt for an up-‘do or gently backcomb your roots to extend the gap between washes. When you do lather up, use Wella Professionals Brilliance Shampoo and Conditioner, as the colour-safe range adds a dose of shine that keeps your pink looking extra punchy. Find more hair inspiration in our Wella Hair Family Gallery, and follow @WellaHair on Instagram for the hottest autumn hair looks. Make sure to tag us in your photos with #WellaHair #StylistsDoItBetter to show off your latest styles and be featured on our social channels.